I created this website to share my story of how I achieved financial freedom with other followers but I do find it difficult not to keep abreast of key issues in banking. I find myself constantly gravitating to those subjects. I did write a previous article on the marketing trends that I expect to see in banking in 2019, but I wanted to have a more complete view of it here. Well, I guess it’s true what they say – once a banker, always a banker. With that sort of apology out of the way, in my next article, I would like to explore some of the more interesting banking trends that I believe will come to pass in 2019. I hope that this is as exciting for me as it is for you. With the hype and eventual fall of Bitcoin and other cryptocurrency over the last year, we have also been hearing a lot about the technology that is powering it – the blockchain. 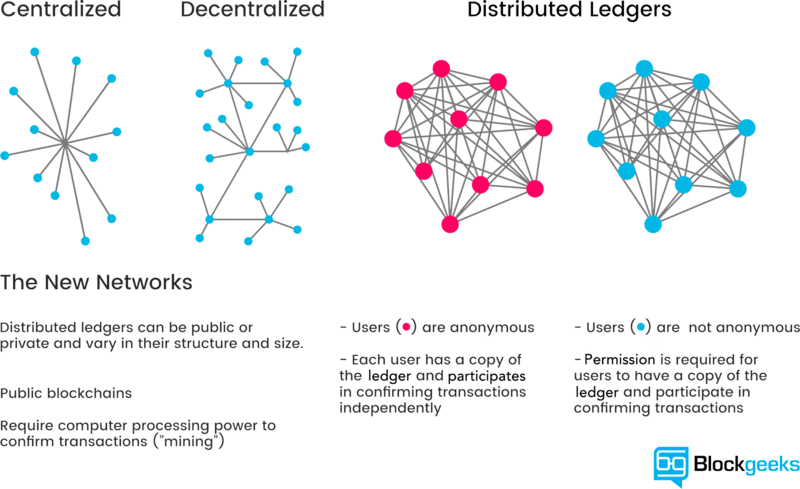 In a nutshell, blockchain technology allows digital information to be distributed, but not copied. Information on a blockchain is shared across thousands or millions of devices and is continuously being reconciled to ensure their accuracy. This means that there is no single database for a hacker to attack and corrupt. This also means that information on a blockchain is not controlled by a single entity. More importantly, there is no single point of failure. As more banks become more comfortable with the concept of the blockchain technology, we will start seeing its adoption in all sorts of areas such as contracts. Robots are taking over the world. There is no question about that. And now it seems that they are taking over banking as well. In some forward-thinking banks such as DBS Singapore, robots are already being used in customer-facing roles. This is done via a technology called ‘Robot Process Automation’ and initial results seem to indicate that it will be the future of customer service in banks. Banks and other fintech companies need to move from ideation to implementation at a lightning pace to keep up with their competitors in the current market climate. This led to a new class of professionals, called DevOps, and their job is to connect the development arm of a company to the operational functions to ensure that new features and products are quickly shipped. These professionals are relatively rare and sought-after right now, but I expect them to be more commonplace in the next few years as banks begin to realise the importance of coordination. Digital banking is a huge growth area in banks right now and I see that banks are spending more and more in tactics such as search engine optimisation, artificial intelligence, paid search marketing and so on. They have to, as without these digital marketing tactics, they will be essentially invisible online and their competitors can easily become better than them. The promise of a cahsless society has been bandied about constantly over the last few years. While there have been initiatives in that direction, I believe that 2019 is the year we see widespread adoption of cashless systems of payments. As more consumers experience the benefits of a cashless system, more outlets will start offering and promoting it to start drawing people in. The millennials seem to have taken a great liking to it as well. In as recent survey, around 68% of them believe that their smartphone will take over their physical wallets. These are my big bets on what will be the major trends in banking next year in 2019. I’m sure that there are many more that I have missed, but I believe that these are the most important ones. What are the more important trends that you think I missed? Let me know in the comments below!